The Yoga Warehouse, founded in 1998, is an Affiliated Sivananda Yoga Vedanta Center, and maintains a tradition of Sivananda Yoga in Fort Lauderdale that started in 1969. 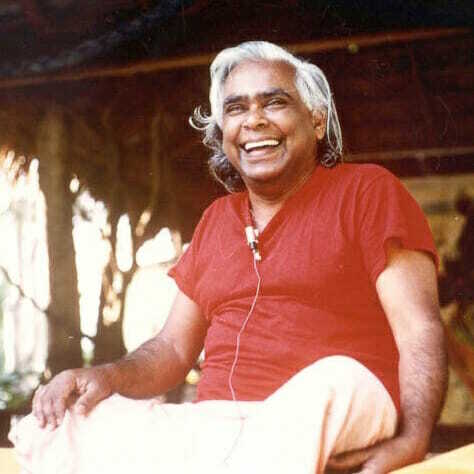 We teach classical Hatha Yoga, a traditional technique brought to the West by Swami Vishnudevananda in the 1950s. Swami Vishnudevananda started the first Yoga teachers training course, which has now graduated 45,000 teachers worldwide. Our classes are non-competitive and accessible enough for beginners while more advanced students are encouraged to challenge themselves. This positive, cooperative attitude on the part of the students as well as the teachers characterizes the Yoga Warehouse. The International Sivananda Yoga Vedanta Centers is a not-for-profit worldwide organization named after Swami Sivananda – one of the most influential spiritual teachers of the 20th century. It was established in 1957 by Swami Vishnudevananda, a close disciple of Swami Sivananda, to practice and teach the ancient Yogic knowledge for health, peace, unity in diversity and Self-realization. It was the life’s work and mission of Swami Vishnudevanada to teach Yoga in the name of his master, Swami Sivananda. 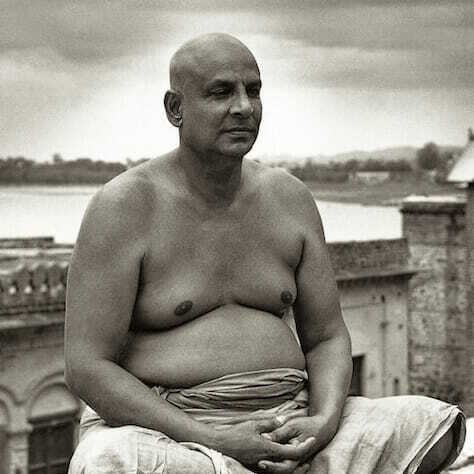 He was sent to the West in 1957 and established the International Sivananda Yoga Vedanta Centers at the heart of many of the world’s capital cities. Swami Vishnudevananda was a master in Hatha and Raja yoga and brought the teachings of Yoga and Vedanta in their purest form to the West. He was also a great activist for world peace, bringing the message of peace to many troubled spots. Thousands of students were personally trained by Swami Vishnudevananda as Yoga teachers and many more have been inspired by his books, The Complete Illustrated Book of Yoga and Meditation and Mantras. We teach and practice in an environment that is wonderfully suited for Yoga. The Warehouse is a converted historic structure, a screened-in, open-air space (with plenty of fans for the hot months) that takes advantage of our special climate for deeper stretching and healthier breathing. We also have an air-conditioned meditation room for summer meditation gatherings, spiritual movie nights and special classes. The Yoga Warehouse is also a place where one can study the full range of Yogic teachings. 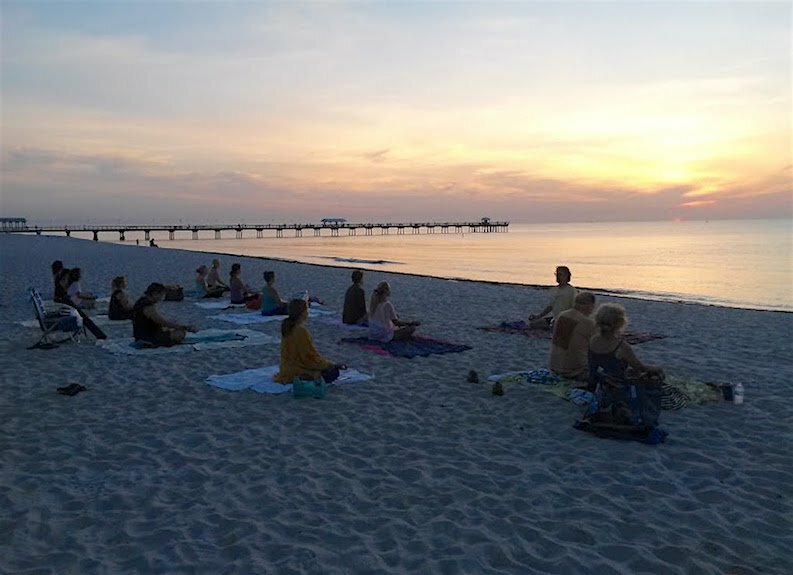 In addition to daily Yoga classes, we feature special Yoga programs, workshops and concerts. Every Sunday evening, we gather for guided meditation followed by kirtan (call-and-response mantra chanting and music) and a short reading, all in the Sivananda tradition. Beginners and members of all traditions are welcome. Our satsang is free and open to all. We are gratified to have the opportunity to help students discover this age-old knowledge. Yoga can build strength while increasing flexibility. People who practice Yoga are less stressed and less likely to fall victim to the ailments that accompany stress. Some of them go even deeper, delving into their true nature through meditation. Whatever your motivation, we hope you enjoy your practice as much as we enjoy ours.